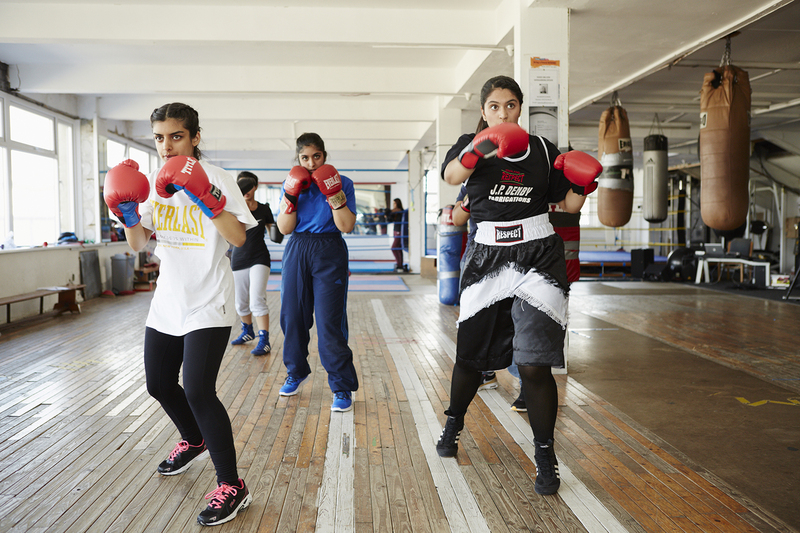 No Guts, No Heart, No Glory is based on interviews with Muslim female boxers including two National Muslim female Champions in Bradford, Saira Tabasum and our now coach, Ambreen Sadiq. 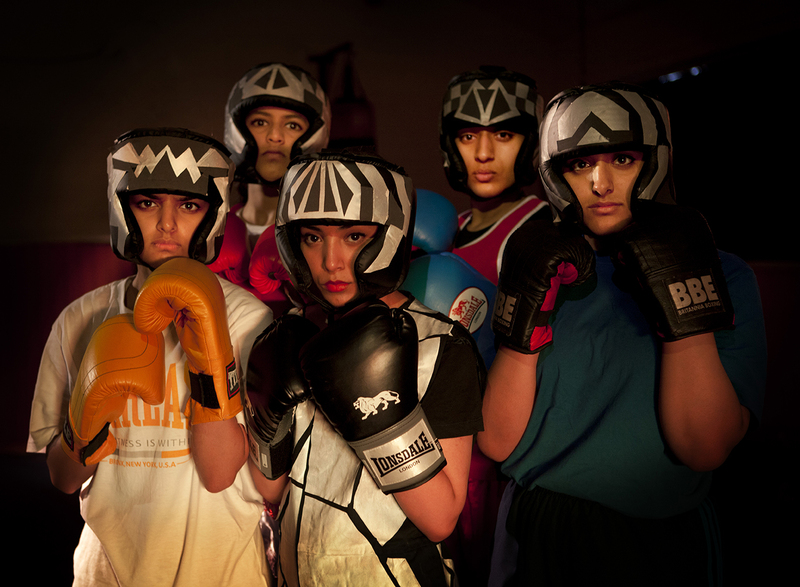 Our young cast came through an audition process in Bradford schools, most had never performed in front of an audience before we went to Edinburgh festival in 2014. 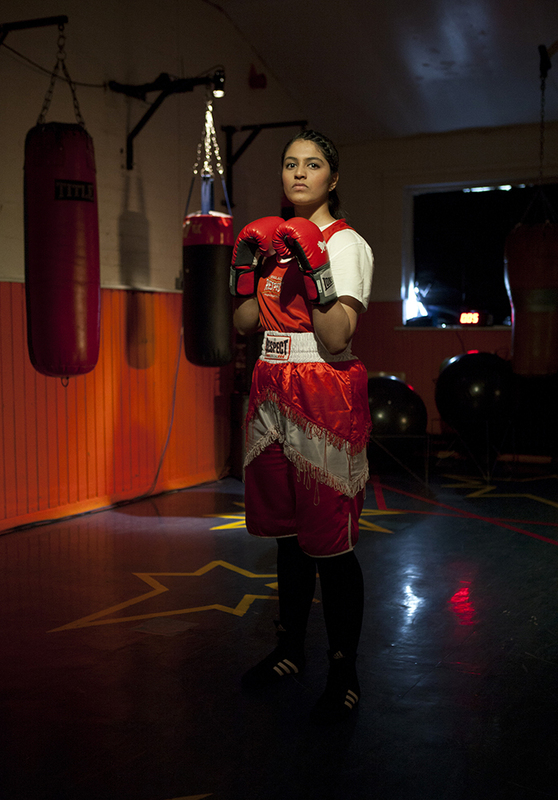 Since then the play has won a Scotsman Fringe First Award, toured the UK and is now touring internationally. The play text has also been published and is available to buy from Oberon. 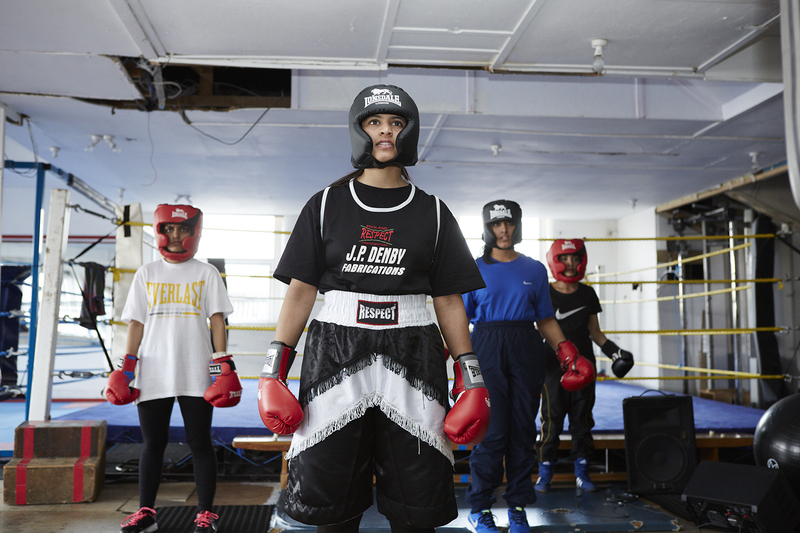 No Guts, No Heart, No Glory was broadcast live in November 2015 as part of BBC4’s Live from Television Centre. 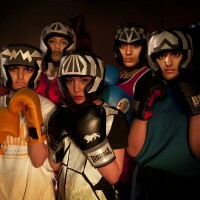 The cast of five shaped the play based on their experiences, their insight and what felt right, what we all wanted to say. During our rehearsals, Israel started their offense on Gaza, some of the actors started going to protests. 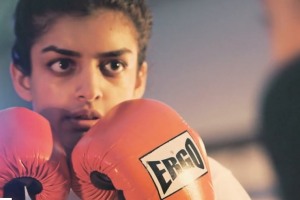 The crisis in Gaza was a stark reminder as we made the play, to be brave in our own lives and to be brave on a wider, International level, to be proud of where you come from and who you are, it began to feel more and more like a protest play, not one where we say ‘no’, but one where we say ‘yes’. 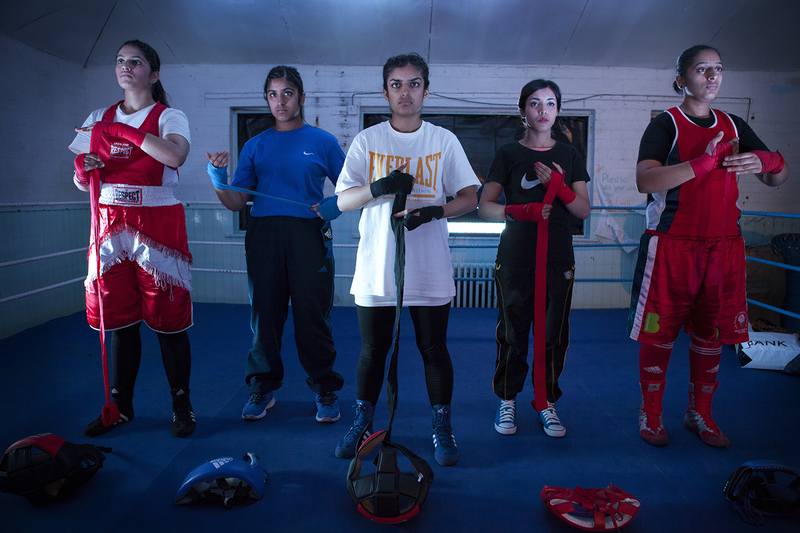 Muslim young women are rarely represented in the media, No Guts, No Heart, No Glory is a chance for Muslim young women to represent themselves, to dance, to box, to swear, to get angry, to enjoy it, to be champions. 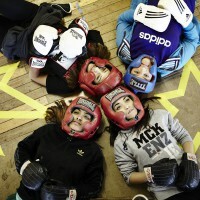 An irresistible thing about muscle, guts and the determination to stand up for who you are in an increasingly mad world. 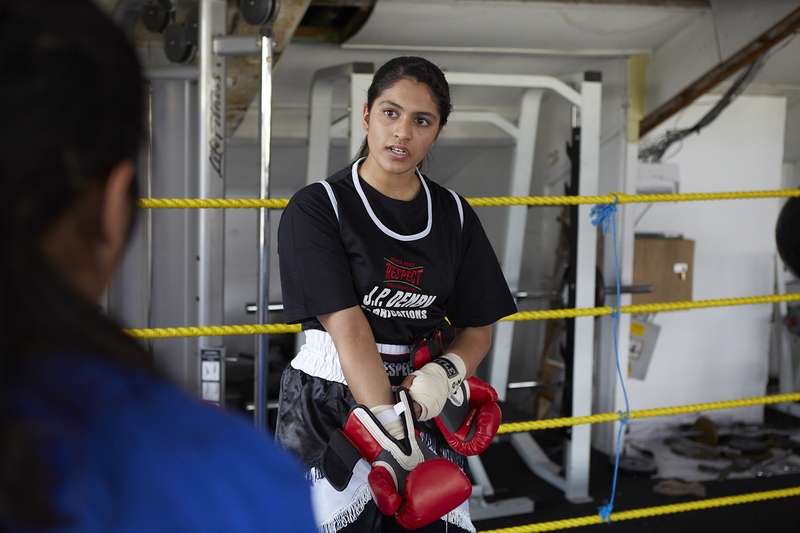 I have come to an amateur boxing club based in Sandy’s community centre in Craigmillar to smack a battered punchbag with British student boxing champion Saira Tabasum. 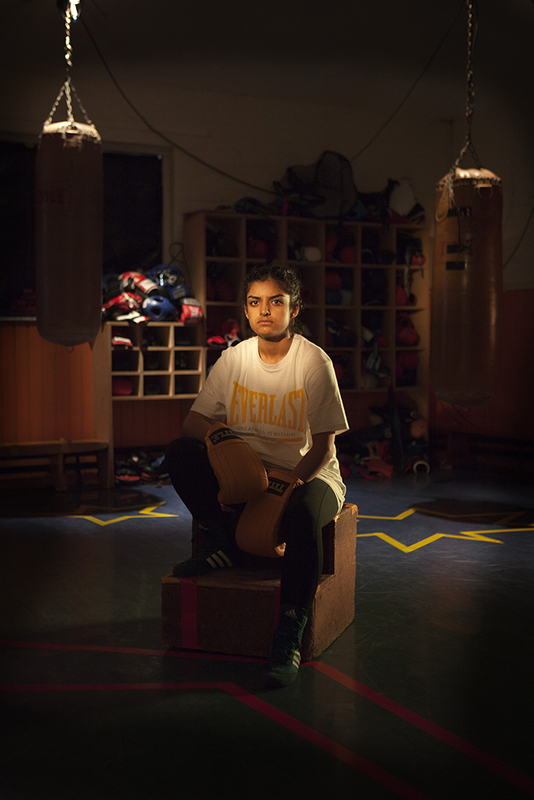 Next week Tabasum will take a starring role in No Guts, No Heart, No Glory, a play developed by former UK female boxing champion Ambreen Sadiq and theatre company Common Wealth. 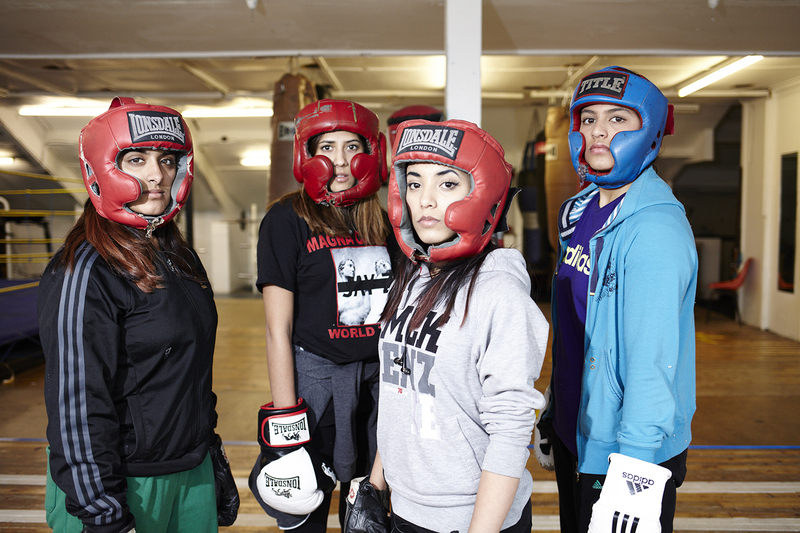 Via monologues set in a ring, the site-specific show tells the stories of teenage Muslim women from Bradford: young, fearless women who obliterate convention by boxing. 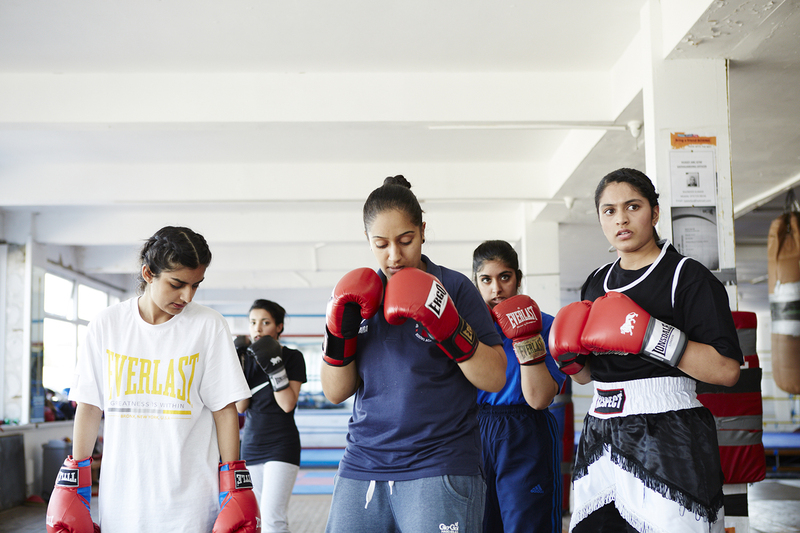 After its week in Edinburgh the show will transfer to Huggy’s boxing gym in Bradford and Moss Side fire station boxing gym in Manchester. 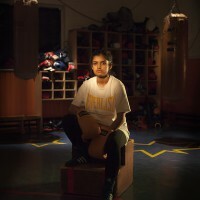 Inspiring, but without the weight of worthiness, it is well worth leaving the pleasantries of the theatre for. 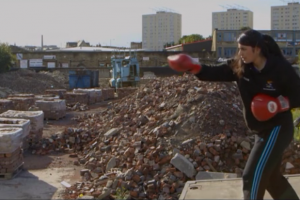 No Guts, No Heart, No Glory was screened live on BBC4 on Sunday 15th November 2015. 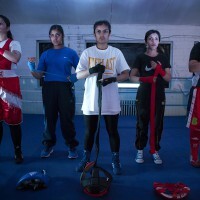 No Guts, No Heart, No Glory has toured to Birmingham Rep, Southbank Centre as part of Women of the World festival 2015, Moss Side Fire Boxing Gym in Manchester, Bradford Police Boxing Academy and Sandy’s Gym, Edinburgh at Edinburgh Fringe Festival in 2014. 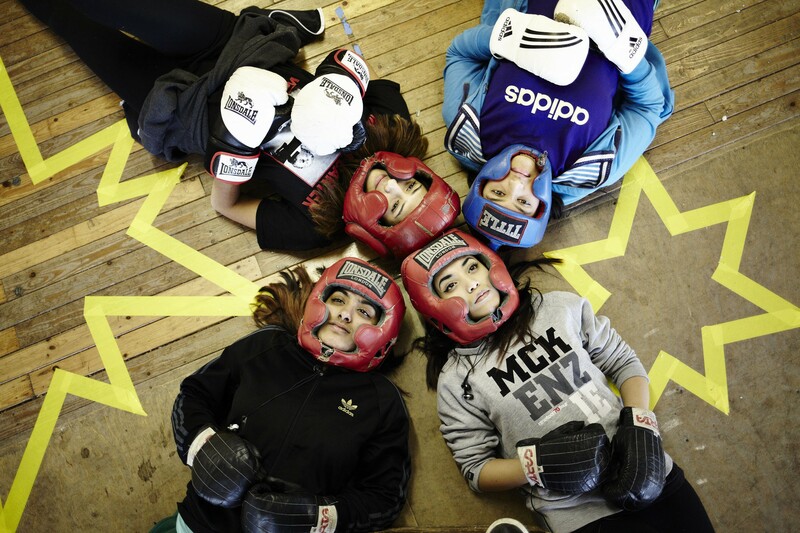 Co-produced by Contact and funded by Arts Council England, Scottish Government, Neighbourhood Partnership (Portobello and Craigmillar), Foundation Scotland, Theatre in the Mill, Bradford Council and Contact.